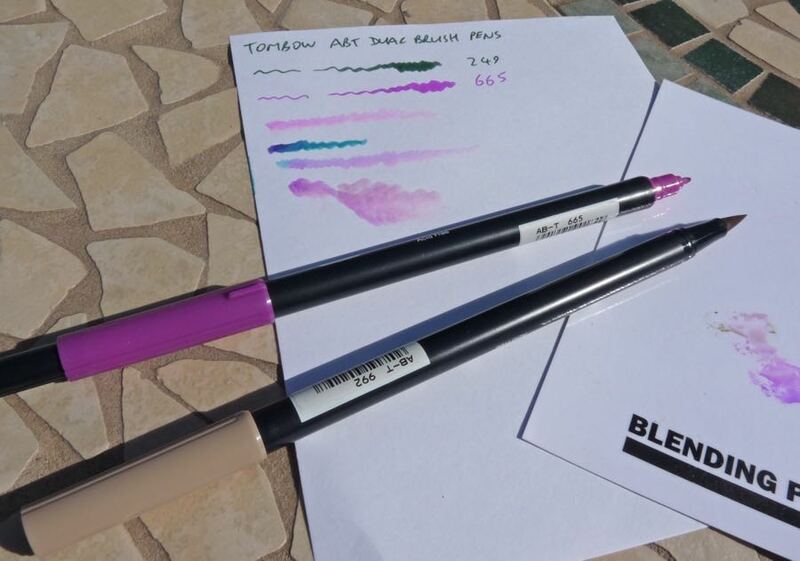 Tombow ABT Dual Brush Pen Review – Pens! Paper! Pencils! I’ve been slowly building up my collection of Tombow ABT Dual Brush Pens for a few years but I have to admit it wasn’t until quite recently that how to use them properly really clicked. They’re a combination of felt-tip pens and watercolour paints but require a different approach to both to get the best from them. One end of the pen is a hard fairly fine tip that behaves just like a good quality felt-tip colouring pen. This tip gives a good sharp and consistent line. The other end of the pen is the interesting end. It’s a long brush tip that gives a sharply defined line with wide variation in width. It’s possible to get very fine lines, with care, and, conversely, big broad strokes. 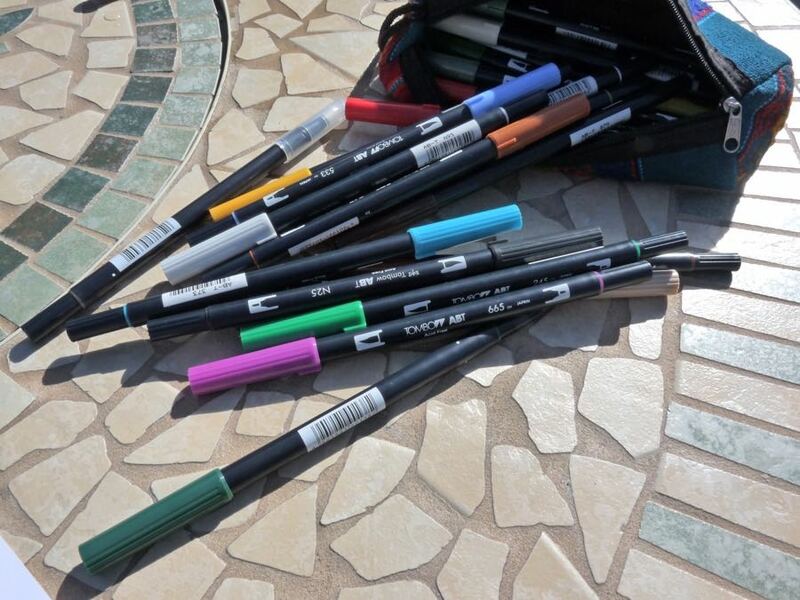 If this was all these pens could do then they’d be good quality (thought pricy) colouring pens. They’re capable of much more, though, because they’re water-based. 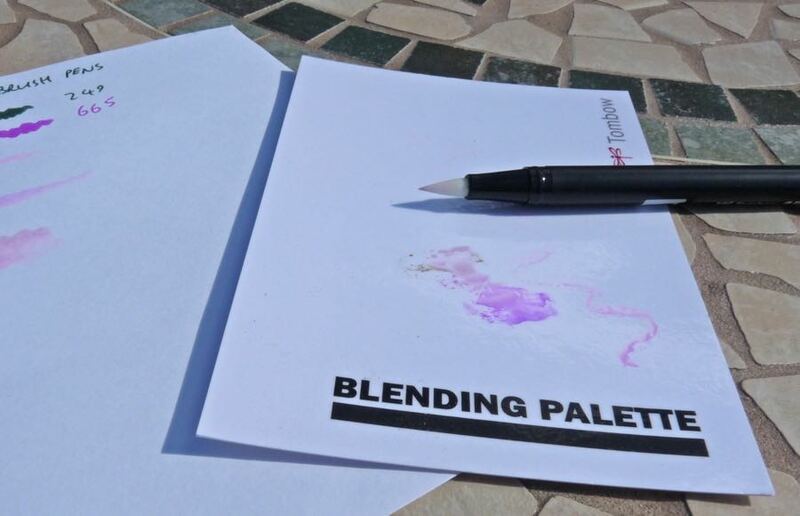 It was getting a blending kit that opened up the possibilities to me. 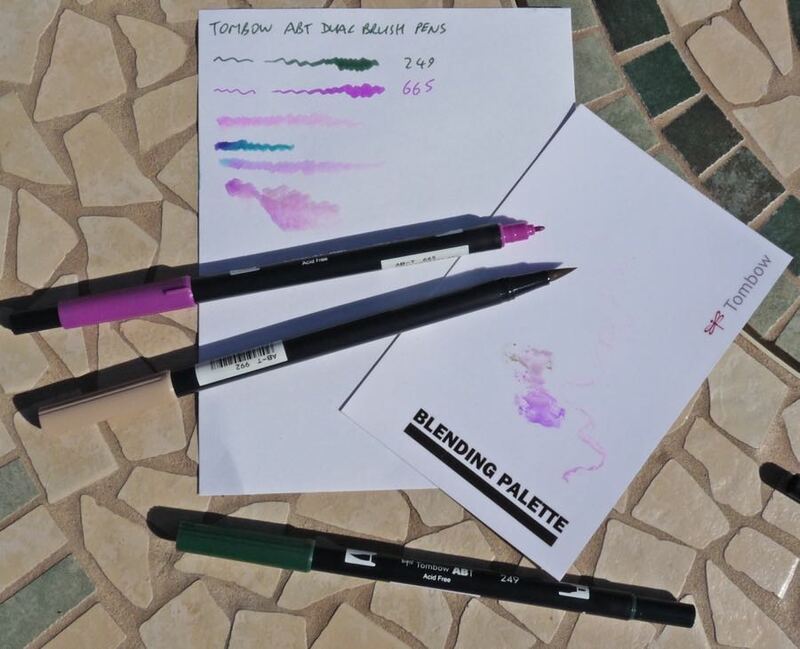 The blending kit consists of a mister, for gently wetting your paper, a plastic coated piece of card, for mixing colours (but any smooth surface will do); and a blending pen, which is just like any other ABT pen but filled with a colourless liquid (maybe just water, I don’t know). This combination really brings the pens to life. You can blend different colours to produce either new colours or gradients. 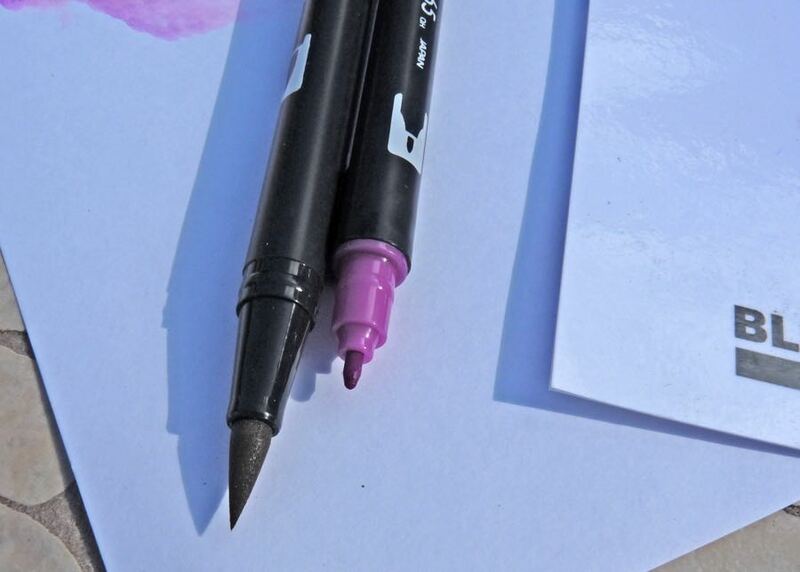 (You can also produce gradients by rubbing the tip of one pen against the tip of another.) 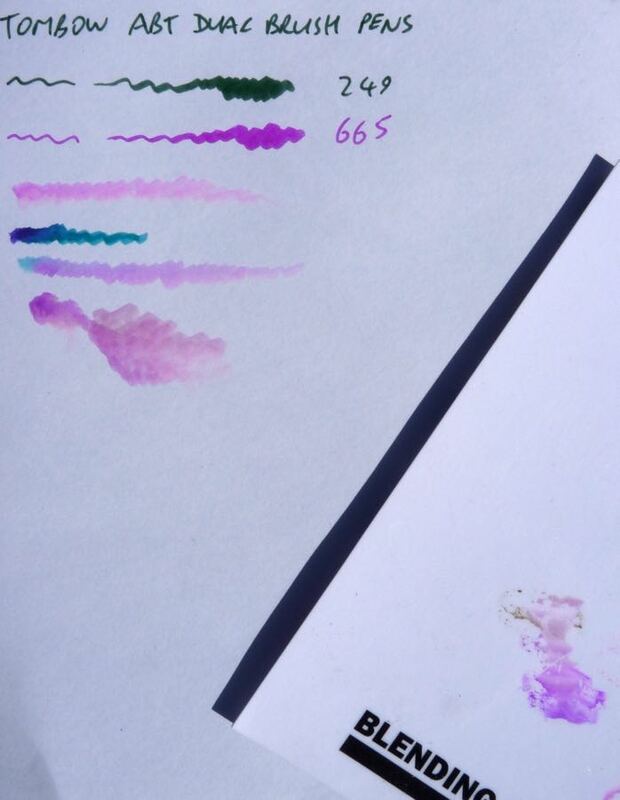 You can pick up a colour with the blending pen and work it into another colour, or onto wet paper to get subtle watercolour effects or to produce a very controlled wash. 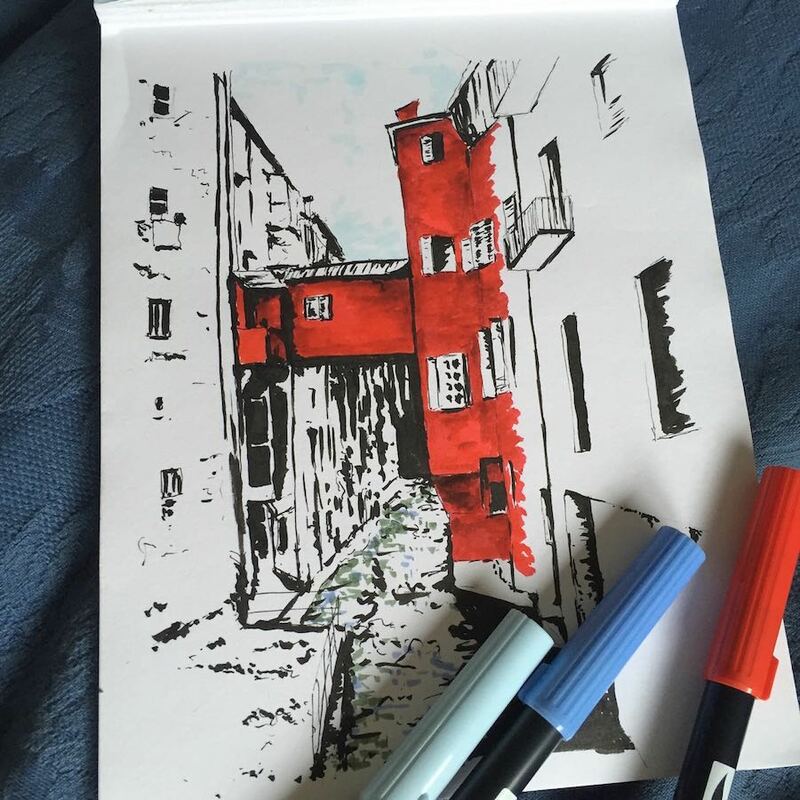 The ABT pen lets you use many watercolour painting techniques but with a lot more control. 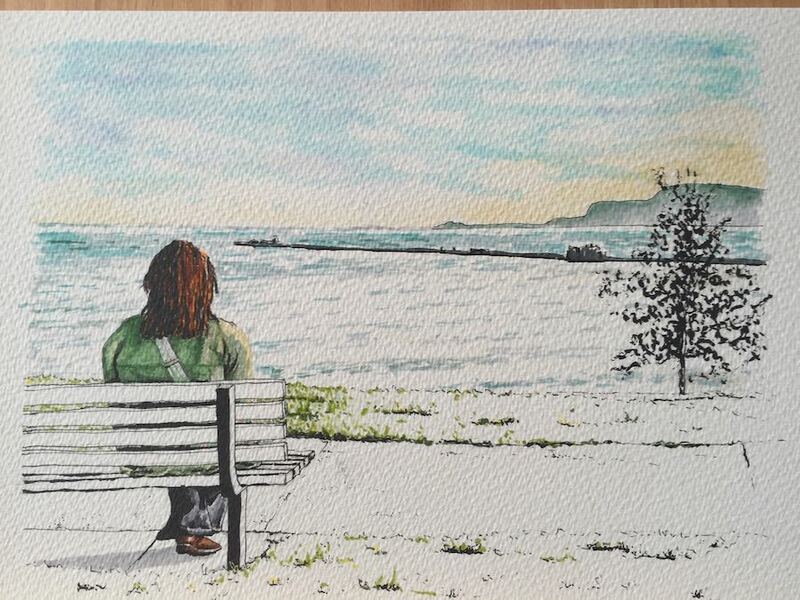 This can be both good and bad: the wildness of watercolour painting is a lot of the fun, after all. The trick I found for making the best of these pens is to use watercolour techniques but to think in terms of using pen and ink. Big washes are possible but hard to make work. Instead, make the most of the precision you can get and the vibrant colours the pens produce. Finally, I just want to mention the caps. The small cap at the fine tip end pushes into the end of the big cap to post; and the big cap slides over the little cap to post. This is a little detail but for some reason I find it delightful. For lots of great tutorials and tips about using ABT pens, take a look on Youtube. Great review! And since you like these Tombows, you might also like Kuretake Zig Clean Color brush pens, which have very similar ink to the Tombows, but the tips are actual soft bristles (like the black Kuretake or Pentel brush pen that I think you have). A different kind of fun!